ANY SPECIAL NOTE ON ORDER? 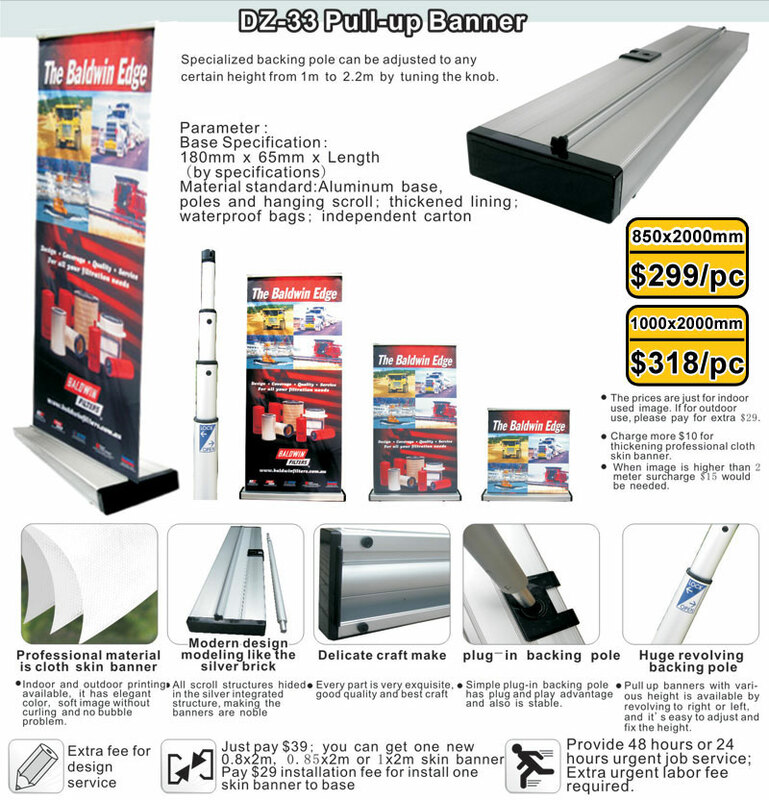 Specialized pull banner back pole can be adjusted to any certain height from 1m to 2.2m by turning the pole knob. 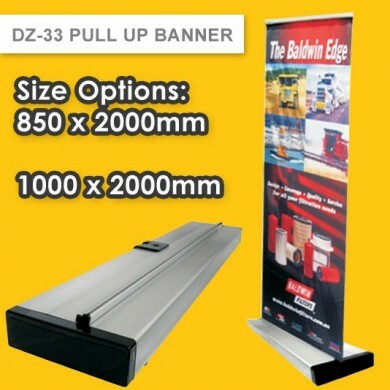 All our pull up banner products comes with Photo Quality High Resolution Printing,Indoor and Outdoor Printing Options(Default Printing:Indoor)Soft image without Curing and no Bubble Problem. Built-in screw-structure poster hanger makes the pull up banner structure stable and appearance smooth. It’s easy to screw the pole into the base just like revolving screw.Yes,it’s that convenient! The pole is plugin into the base and tightly united with the base,very stable.Never fall off when you move the pull up banner. General Production process takes 5-7 working days.